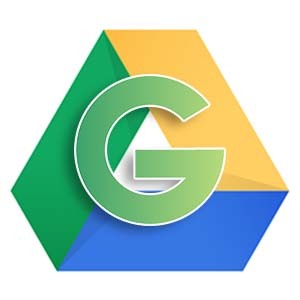 Google Drive provides online storage for all your data that Google allows you to share your files like Google Documents (Documents, Spreadsheets, Presentations, etc.) or zip archives. Google Drive is that it is free for uploading and sharing your files for public use, ads free and fast downloading speed. 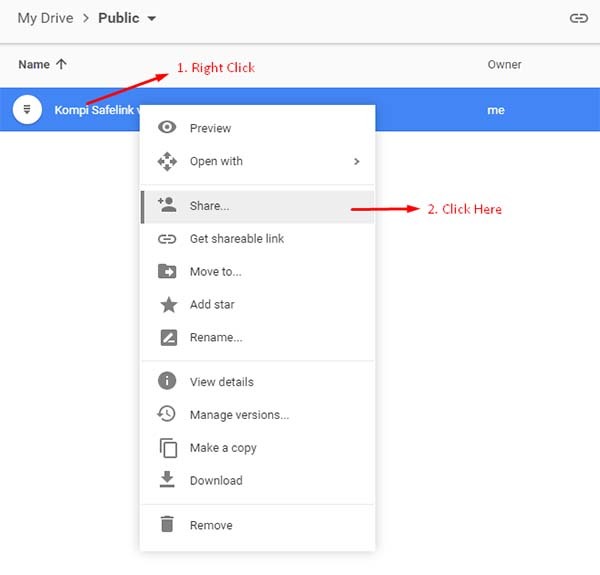 But Google Drive does not offer a simple option for creating "direct download" link for your files that have you upload on Google Drive for you share to others. 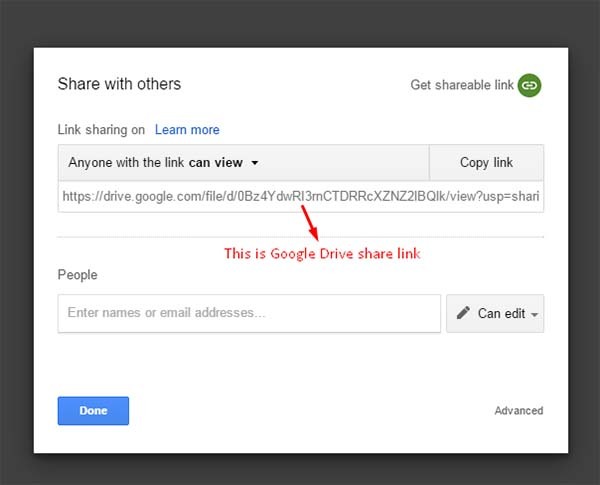 So, here the tip for how to allows you to create "direct download" link for your Google Drive files with easily. 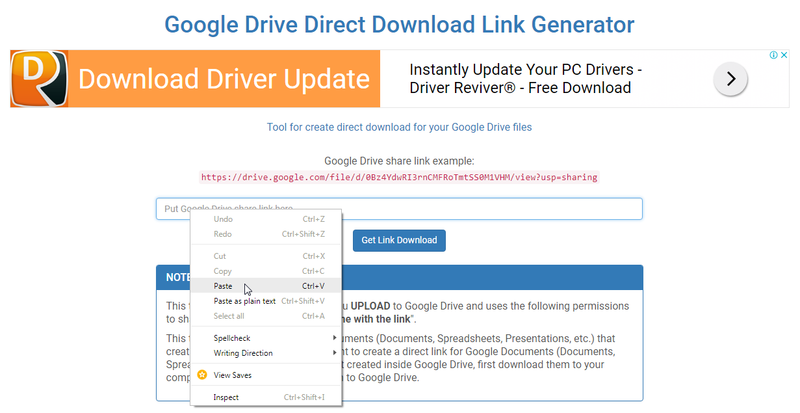 With the Google Drive "direct download" link, you can just simple to share your files that have you upload on Google Drive to others with a link to force the browser to download file and save on computer. Any one with the link can easy to get the file without have to see the Google Drive preview page, just click on it. Step 4: Now go to Gdirect and paste the link to conversion box. Then just click on the Get link download button to get direct download link of your file that you upload on Google Drive. Step 5: Just click on copy link button on conversion box, your Google Drive direct download link copied to clipboard. 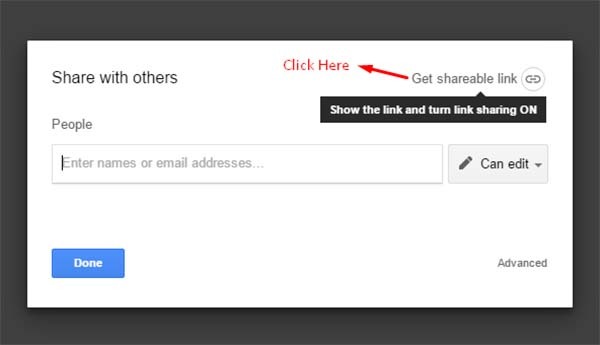 And now just simply make a link on your page to share your file to another. Did you get download limitation error on Google Drive file? Here how to fix error for download limit Google Drive.